Sprint CEO Marcelo Claure has been traveling around the country trying to tell the carrier's story. 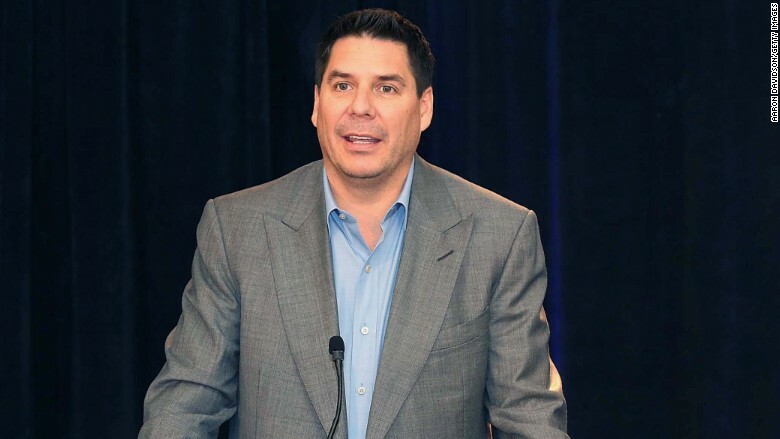 Marcelo Claure took over as Sprint's CEO and president in August of 2014. At the time, Sprint had the slowest 4G network compared to the other major carriers, was losing customers, and had just been rated the worst carrier in the country. To turn Sprint (S) around, Claure said he would make the company more "cost efficient" and "aggressive in the marketplace." But even after thousands of layoffs, significant investments to improve its network, and deep price discounts to woo new customers, the carrier still hasn't addressed its biggest problem -- its lack of identity. This was abundantly clear when CNNMoney got an exclusive invitation to one of Claure's "listening tour" events in New York last week. 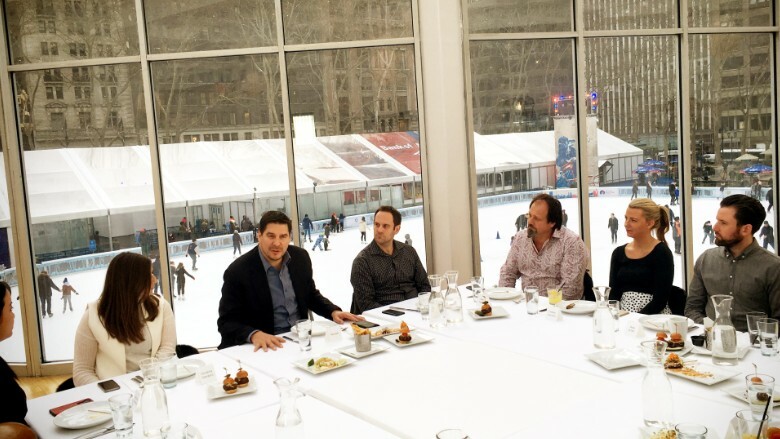 Sprint CEO Marcelo Claure talks with wireless customers inside a pop-up bar near New York's Bryant Park ice skating rink. Since the beginning of the year, Claure has been traveling around the country and meeting with wireless customers from all the major carriers. His goal is to learn what people like and don't like about their providers and take that intel back to headquarters so that Sprint decision makers can improve their efforts to sign up new customers and keep their existing ones. Toward the end of an hour-long chat with 14 guests, Claure asked them to say the first few words that popped into their heads when they hear Sprint. Their responses were not only unflattering, but also dismissive: "Old and outdated," "PCS," "bad service," "I don't know anyone who has Sprint," and "still around?" The word association game didn't fare well for any of the other carriers -- someone described Verizon (VZ) as a "con job," another person called T-Mobile (TMUS) "ghetto," AT&T (T) is also "old" -- but at least no one questioned their existence. The guests, who ranged in age from 22 to 53, seemed to have little to no recollection of Sprint's new customer service programs either. And when asked to name the first wireless commercial that popped into their heads, most brought up Verizon's long-retired "Can you hear me now?" campaign. "So now you understand my big dilemma," Claure said. Sprint makes ads but no one remembers them or even looks at them -- especially online. Sprint offers a way for people to get their new phones delivered to them when it's time to upgrade, but not many had heard of the service. And although everyone said they'd heard about Sprint's half-off promotion, and want to pay less -- they also said "the discount doesn't sound premium." So Claure did what Sprint as a company should be doing and tied everything good about the carrier into a neat bow. "We have iPhone Forever and Galaxy Forever, which is awesome," he said. "You get a new iPhone or Galaxy every year. Your phones get delivered to your house. You pay 50 percent and you have a similar network. Assuming all of that is true, how many of you would switch?" Almost every hand shot up.